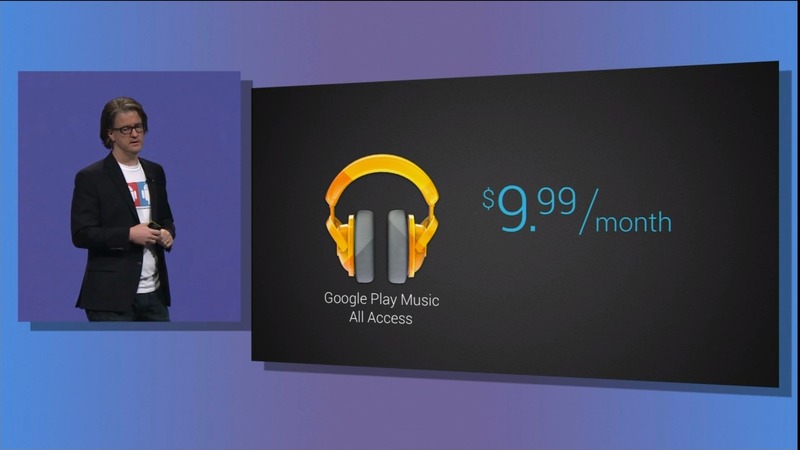 Today, Google brought it's A-game with a subscription service for Play Music. 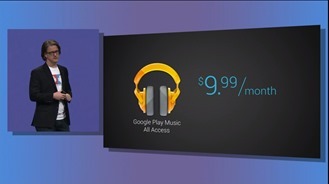 Now, you can pay a $9.99 monthly fee to get unlimited access to a library of music. 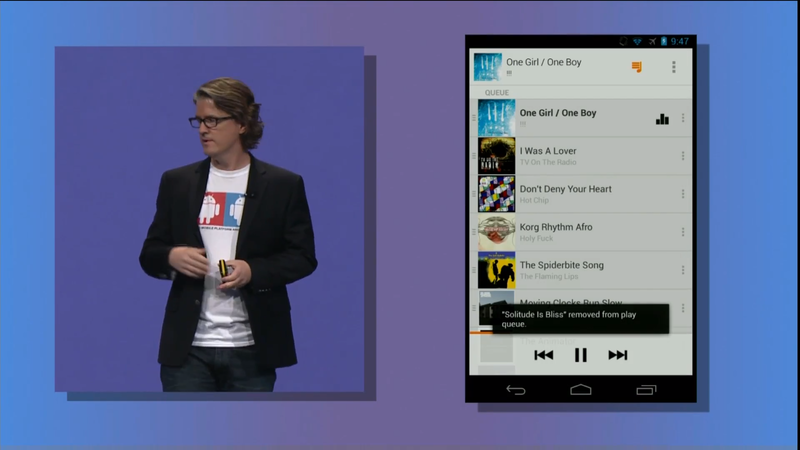 It also comes with a new, updated Play Music app that doesn't look like complete garbage. 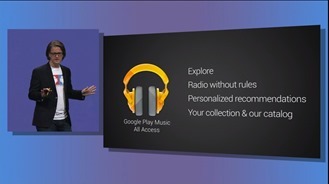 There's also a host of features including the ability to turn any track into a radio station. The one key way that this service distinguishes itself from other subscription services is that this includes all of your own personal music. 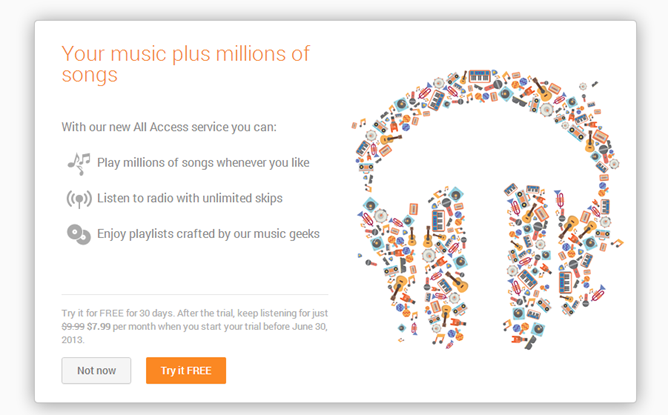 In other words, the MP3s you've purchased and own are in the same app as all the music you've added to your library via your subscription. 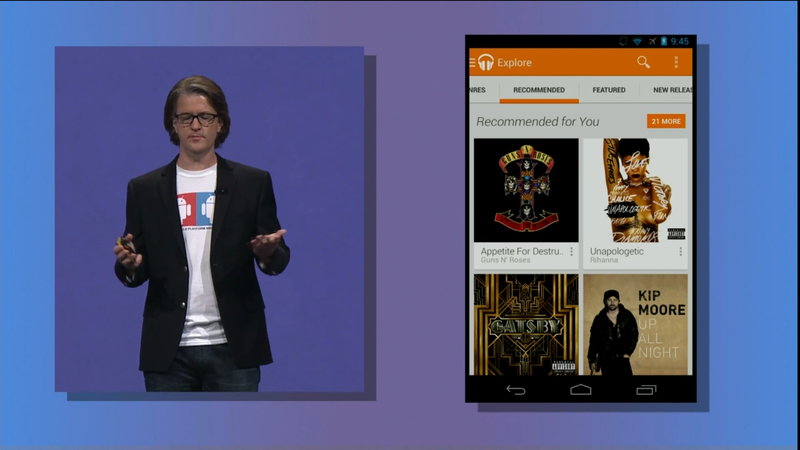 No more juggling multiple apps and services to use all your music. The service also works on the web. Your entire combined library is synced across all of your devices and is accessible from any desktop web browser. 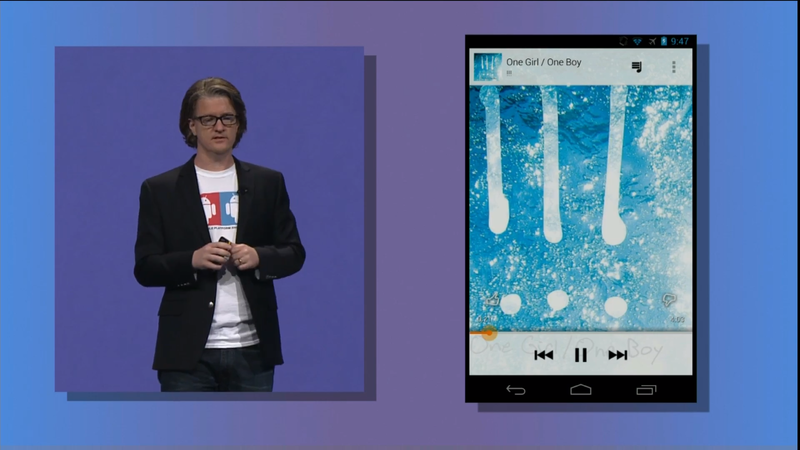 No matter what device you use, you can tap on a single track to create a radio station of related music. If you see a track you don't like in the automated playlist, just swipe it away. The service launches in the US only at first, but it will be rolling out to more countries "soon." The service will cost $9.99/month, but everyone gets a free 30-day trial if you don't want to commit. If you do, however, those who sign up by June 30th will only pay $7.99 a month, which undercuts Spotify and Rdio by a full $2. Right now, if you go to music.google.com, you can sign up for All Access. You'll be prompted to use the free trial, which will require a credit card on the account in the event you keep it live. 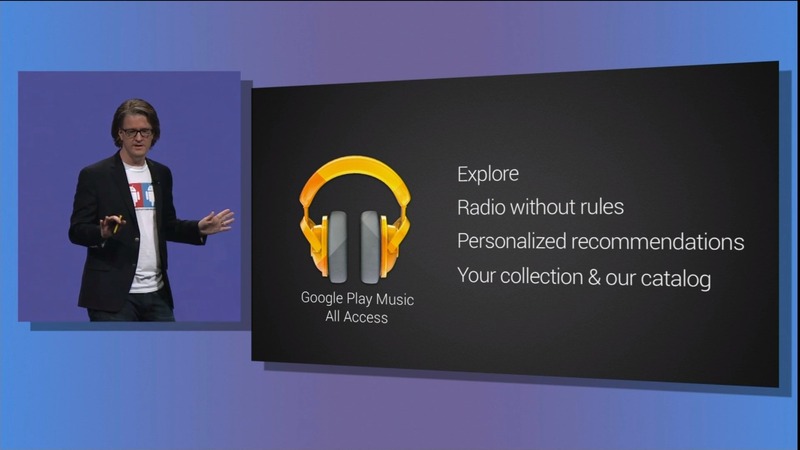 As stated before, this is US-only for right now, but Google promises it will roll out to more countries later. Update: The Android app has now been updated too! You can grab it via the widget below.